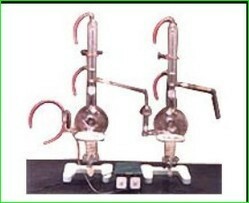 Associated Scientific Company was established in the year 1972 in one of the largest states of india i.e. Uttar pradesh. The company is a reputed manufacturer and supplier of high grade industrial products. Additionally, it is also engaged in importing and supplying a wide variety of products. All the affairs of the company are managed under the guidance of Mr. J. K. Gupta, the CEO. Here are the few highlights of the company that depicts our global stance in the market. The products offered by us are highly appreciated for their high performance. These products are available in market at reasonable prices and one can avail these products from us in bulk. These products are highly durable and reliable in nature. Our products are acknowledged amongst our customers due to their best-in quality. We ensure to deliver these products in various places across the country. For producing these products in bulk and meet the requirements of clients, we are backed with fully skilled and experienced team of professionals. They work in co-ordinations and passion to achieve the goal of the organization. Our professionals maintained a fruitful relationship with our valuable clients. We believe in team spirit which is the key of our success and growth in competitive market. With our sophisticated infrastructure, we are able to provide quality products to customers at most reasonable prices. We are backed with advanced technology machines and equipments. Our infrastructure is divided in various segments that help us to meet huge market demands. Further, we upgrade our infrastructure timely as per the requirements. We have attained a commendable position in market by providing quality products to customers. Our customers prefer to purchase our products due to their best quality and reasonable price. We ensure to satisfy the entire requirements of our patrons in all possible manners. Our professionals have maintained a trustworthy relationship with our valuable clients.